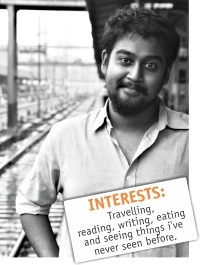 I thought last week's spotlight was a beautiful piece written by Rakibul Hasan. I do some poetry myself and I could relate to this story really well. I love how tech-savvy poetry has gotten as opposed to what it used to be back in the day. The spotlight was enough to give people an insight to the beautiful minds of this day and age and how similar it is to people of the previous generation, yet in such different manners. I think the arts, whether written, performed or painted, should be nurtured by the whole nation for it to rise into sophistication and elegance. I urge Star Campus to write more stories of this sort, expanding into the more artistic topics like the one they did last week! 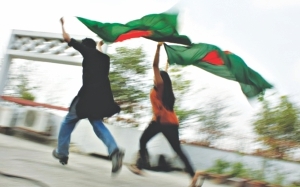 Every time Bangladesh Cricket team wins a match, the whole country gets flooded with festivity. It also gives us a lot of inspiration to march together as a nation. However, for the last few months, I have been observing with amusement that the celebrations after any victory of Bangladesh team are not getting as big as it used to be before. Most probably, it is because our team has almost made it a habit to win some big matches every once in a while. I wish wholeheartedly for this practice to continue. At the same time, I firmly believe that no matter how we celebrate our team's victory, we will always keep supporting our beloved national Cricket team. The other day, I met a child of about ten on my way to the Public Library. He was washing plates on the footpath. I came to know that he works in a nearby cafeteria. As I started talking to him, the owner of the cafeteria showed up and started throwing tantrums on the child. When I asked the man, “How can you be so cruel to a small child?” he gave me a nasty look and asked me to leave the place at once. However, I felt very sorry and kept talking to the kid. Eventually, I got to know a very sad story. The child's name is Monirul and he has come to Dhaka from Gaibandha. Though his parents are alive, he has no idea where they are right now! Though the issue of child labour is a common topic for discussion in talk shows and seminars, in reality most of the children in our country are deprived of some of the very basic rights. I think we should talk less and take some effective steps to eradicate the miseries of the underprivileged children. It is very alarming that political parties of our country are using young students from schools as mercenaries during political strikes. The other day, I saw a student vandalising a bus while he was in his school uniform. Such acts of violence are obviously not expected from students of any age. And, the political leaders who instigate students towards such violence, I couldn't loathe them more. If we are to develop our future generation to their full potential, we should save them from the clutch of such evil people and ensure a favourable environment for education. Send us feeds between 100-150 words and send them with your full name, contact number, postal address and the institution you study or work at. 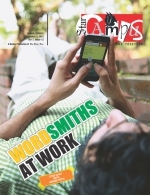 Email them to us at starcampus@thedailystar.net or mail them to us at 64-65, Kazi Nazrul Islam Avenue, Dhaka-1215.